After teasing a joint team mixtape with "Doggin," Rae Sremmurd's Sway Lee and Slim Jxmmi brought a host of their friends from Tupelo, MS together for Trail Mix. From the jump, it's clear that you will not get the lyrical depth of a Kendrick or J.Cole record. If you're familiar at all with Rae Sremmurd, this won't surprise you in the least. There are glimmers of light for the hip-hop fan interested in a narrative of struggle with Riff 3x's solo contribution "Faith," but that's about all they are going to get. The mixtape's title unfortunately does not exactly place as Trail Mix stays consistent with turn up, head-knocking offerings such as the Sonny Digital produced "I Don't Blame You," "Lean" and "Religion" as stand-outs. 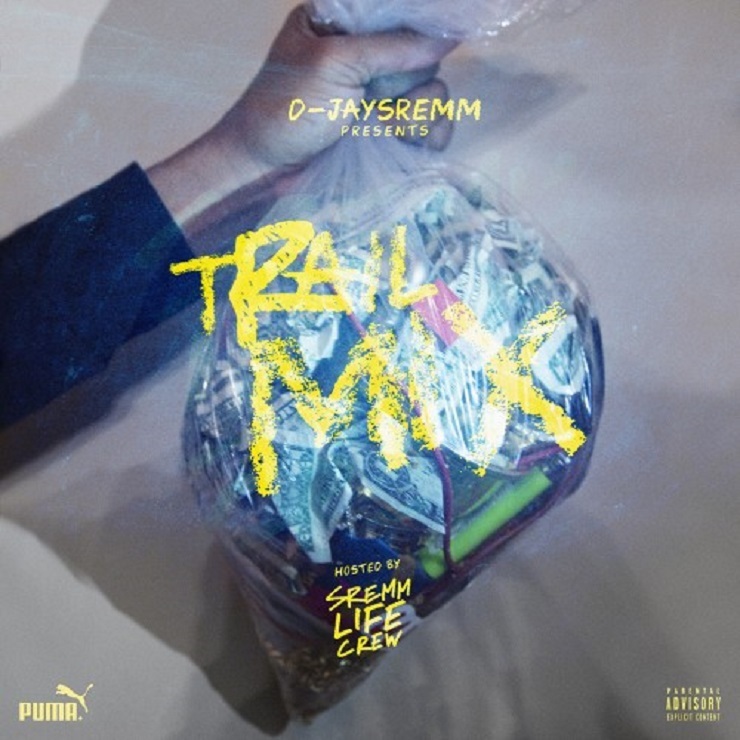 Trail Mix is true to the sound that Sway and Jxmmi first spearheaded with SremmLife and its platinum single drive. However it definitely plays just like what you would expect from an entire crew of Rae Sremmurd cronies.